Newer home with hardie board siding, detached garage, and large back deck with beautiful view. 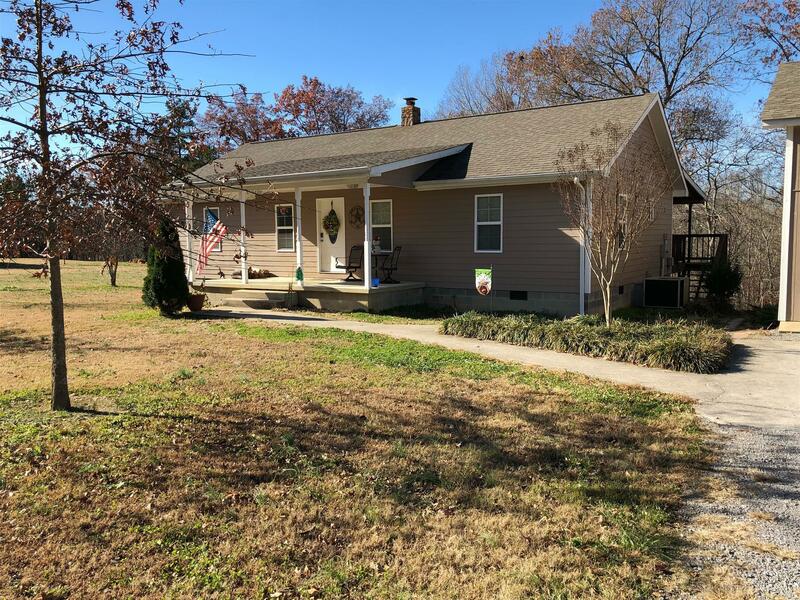 This 3 bedroom 2 bath is on 2.47 acres. Sunroom features wood walls and large windows. Stay warm this winter with the wood burning fireplace! There is a storm room built under the home. Stainless kitchen appliances will stay!